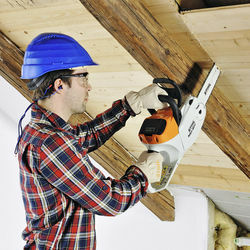 Cordless chainsaw for mobile use in noise-sensitive areas. 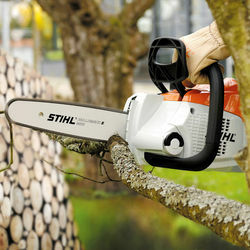 STIHL quick chain tensioning, QuickStop Super chain brake, tool-free bar lube cap and high performance cutting attachment optimised for cordless chainsaws. 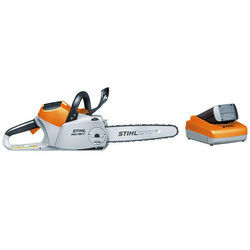 Powerful, light and quiet Cordless chainsaw powered by Lithium-Ion technology. 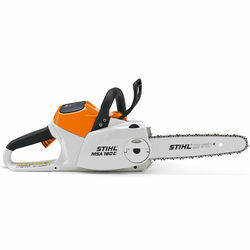 Simple to use with no emissions. 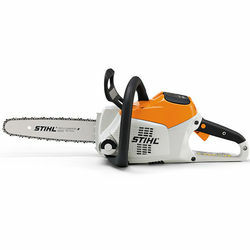 Ideal for horticulturists, landscape gardeners, builders and around the home.